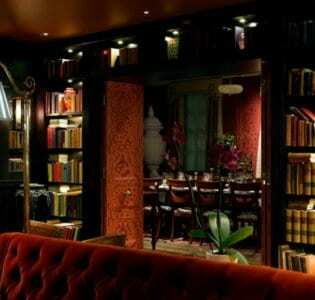 London is full of fancy hotels, and inside, their bars are just as beautiful. 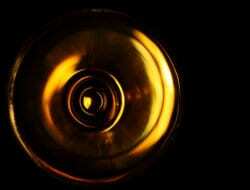 Fortunately, you don’t need to be a guest to drop in and have a drink! 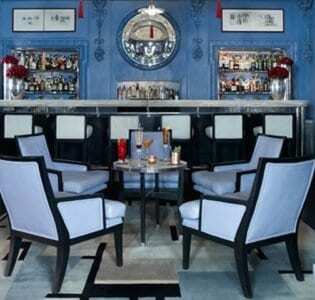 Visit any of these 7 fancy hotel bars and we promise you an evening to remember. Gloriously opulent, unashamedly luxurious, this Mayfair bar has been a high-society haunt for over a century, and with good reason. 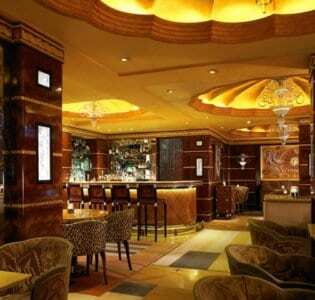 You can enjoy anything from cocktails to caviar in this beautiful Art Deco bar. 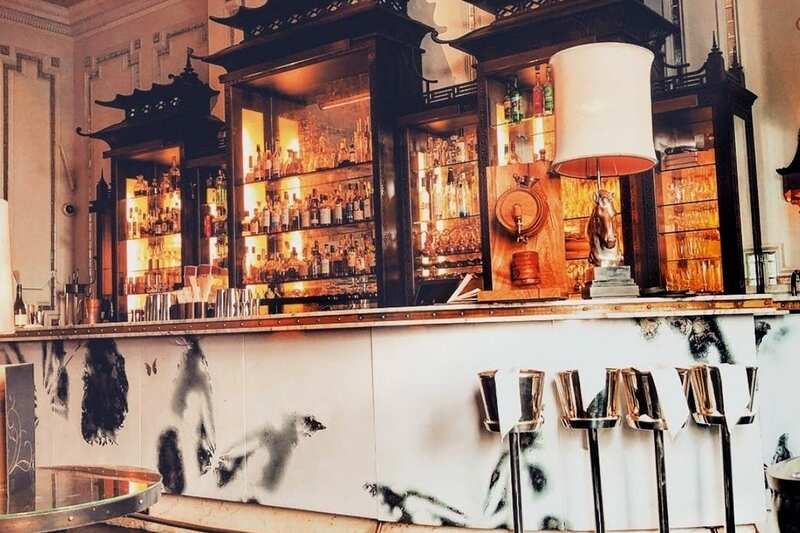 Arguably the fanciest drinking spot in the country, and with prices to match, the Rivoli is definitely a destination for those special celebrations. 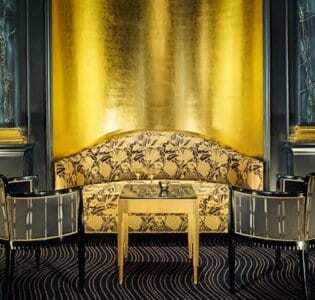 Dimly lit and decked out in black and gold, this elegant bar is a beautiful setting for any occasion. And that’s before even mentioning the grand piano serenading you from the corner of the room. Even choosing your drink is an adventure – the menu is a gorgeous tunnel book telling the stories behind each and every cocktail. Set inside the Langham, Artesian is exactly as glamorous as you’d expect. Here, innovation is a point of pride and there’s a huge range of original cocktails to choose from. If you’re hungry, the tapas-style menu includes everything from oysters to Parmesan churros. With so much on offer, you’ll struggle to leave without having tried something new. This Islington bar is packed full of portraits, gramophones and stuffed cats, making it easily the most eccentric bar on this list. 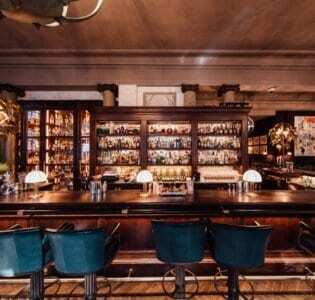 Once you sample the eclectic house cocktails, you’ll understand why the bar counter is styled like an old-fashioned apothecary. Grab a drink, curl up by the fireplace and soak up the atmosphere! Velvet armchairs, wood-panelled walls and a crackling fireplace give this bar the ambience of a relaxed but ultra-classy gentleman’s club. Live music every night, mostly jazz and blues, only adds to this sense of sophistication. If you’re a whiskey connoisseur you’ll feel especially at home; that’s if you manage to choose from the list of over 200 single malts available. 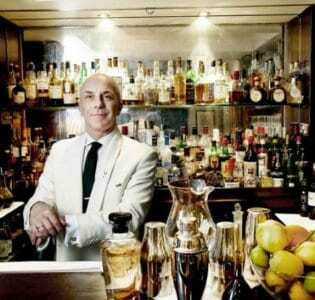 Take a trip back in time in this old-school hotel bar. Legend has it that Duke’s famous martinis are the reason Ian Fleming gave James Bond a passion for the cocktail, and after visiting you’re sure to understand why. 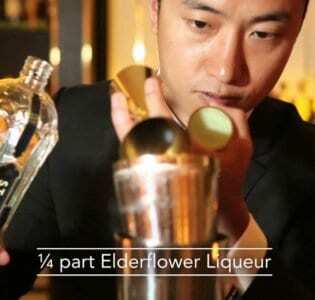 The drinks are all expertly mixed tableside, and strong enough to justify the prices. Colours are all-important at Blue Bar. The decor is – you guessed it – a wonderful warm blue, but it doesn’t stop there. The cocktails are grouped into four colour categories, each representing different drink styles. 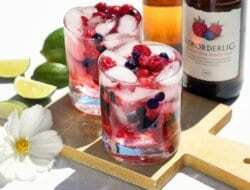 Enjoy a ‘long and fresh’ green cocktail, or maybe a ‘rich and complex’ red. We know you’ll enjoy yourself in any case. Whichever bar you choose, remember to wear your best outfit and prepare for a night of glamour!